Just got back from taking my daughter to see “Yo Gabba Gabba LIVE” at the Fox Theatre, here in Saint Louis. 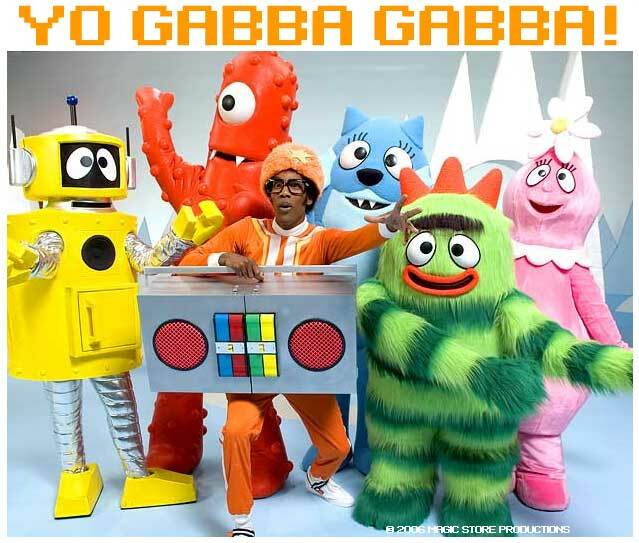 For the uninitiated, Yo Gabba Gabba is a super-hip children’s show that airs on Nickelodeon. The creator of the show, and main character, “DJ Lance Rock” is a Saint Louis native and the show is a huge hit. It’s so damn hip! The coolest moment of the show, and a perfect example of the level of cool involved here, was when Biz Markie (the oldskool rapper…remember “Oh baby you, got what I NEEEEEED”) came out on stage and gave a beat-box tutorial to all the children. It was pretty boss. Now I know this has NOTHING to do with videogames or joysticks, BUT I just gotta tell ya..this show was DOPE! If any of you have kids, and have managed to live under rocks and have avoided ever hearing about Yo Gabba Gabba, then do yourself and your kids a favor and check it out!